This city guide presents a selection of buildings of high architectural caliber, with the aim of offering you a new perspective of Freiburg. The focus sometimes is not so much on spectacular individual buildings, but on the quarter as a whole, as a reflection of the character and history of its time. The nursing home is divided into three residential areas for each nursing ward. Communicating hallways connect the individual areas with each other and the garden. This creates interesting visual perspectives from each lounge and residential area, while integrating the building structures into the smaller scale of their surroundings. 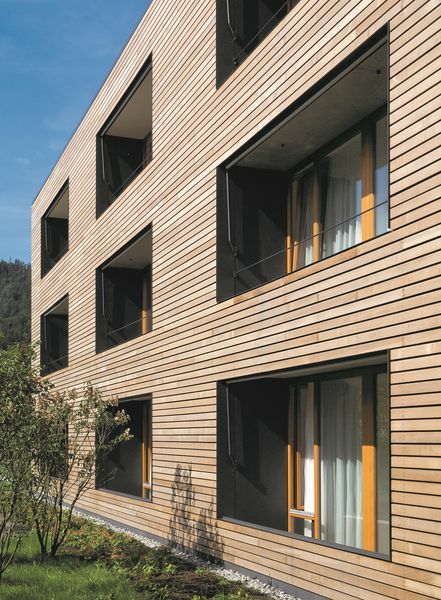 The facades consist of cedar boarding with open joints and extensive glass panels with sliding doors that lead to the large patios and balconies. 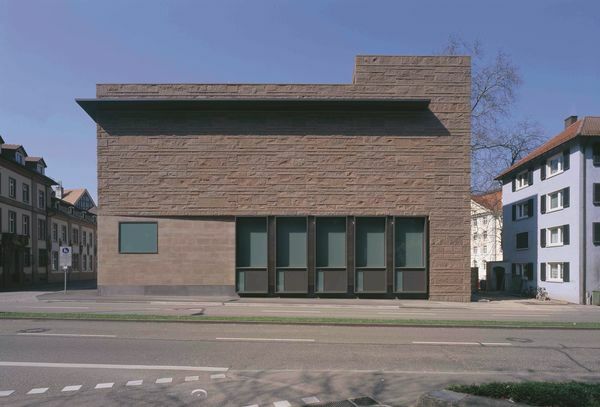 Storage as a design principle: The red sandstone with many layers of artisanal stone working reflects the materiality of the historic city of Freiburg and demonstrates the building's function to the outside world. The 50 cm thick solid brick walls avoid temperature fluctuations, eliminating the need for mechanical climate control. One of the Upper Rhine area's most important museums presents art highlights from the Middle Ages to the 19th century in a former monastery. The museum has been present on this site since 1923. Modern exhibition rooms were created as part of a renovation in 2010. 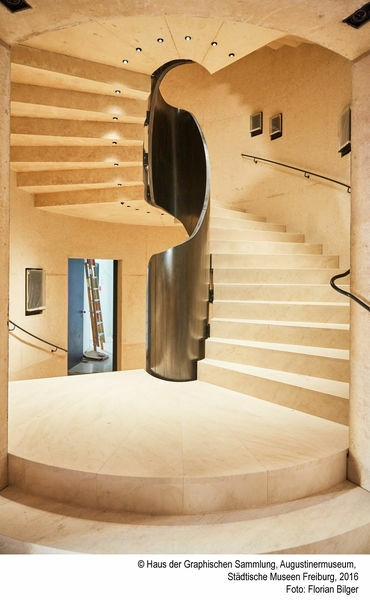 The Escher-like staircase in the foyer offers some initial insights into and through the exhibition halls, including into the former nave with its medieval cathedral figures. The renovated historic choir room under the roof adds a special ambiance to the exhibition. To be viewed from the outside and inside. The laboratory building's iridescent gray brick facade integrates in the inner-city setting as a four-sided cube. A three-story glass facade extending slightly under the roof creates an inviting yet prestigious entrance area. Large glass panels open the public access areas up to the outside space and a courtyard that can be covered with sail shades for use as an event venue. 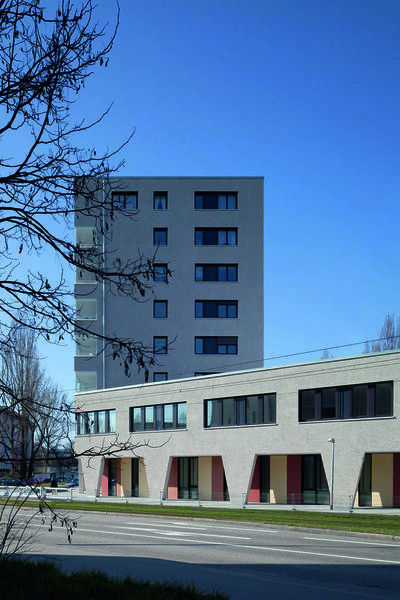 Passive house for a subsidized residential development in a central location of the 1960s Weingarten district. The new component, designed to enhance the city center, reflects the architectural structure of the detached buildings, while the shopping area along the street adds a new dimension for passers-by. The Konzerthaus houses a world-class concert hall and thrives on the interplay of its interior and exterior and on the successful blend of the small-scale structure of the surrounding quarter and the building's large dimensions. The architecture with its large inviting loggia is a striking feature in the urban landscape and acts as a bridge from the old town to the western parts of the city. 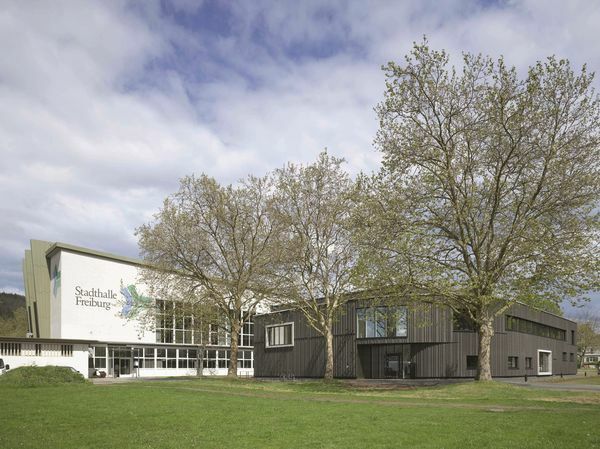 The particularity of this building, conceived as a hall with three courts, is its multi-purpose use on a small floor space: the roof of the recreational center can be used as an area for recess and sports by the neighboring Rotteck secondary school. An old maple tree has been integrated into the inviting entrance area. The full glass external wall of the dance and gymnastics studio is oriented towards this tree. The new building in a park-like setting relates to the neighboring constructions in a number of ways. An old linden tree by way of a small courtyard marks the entrance. 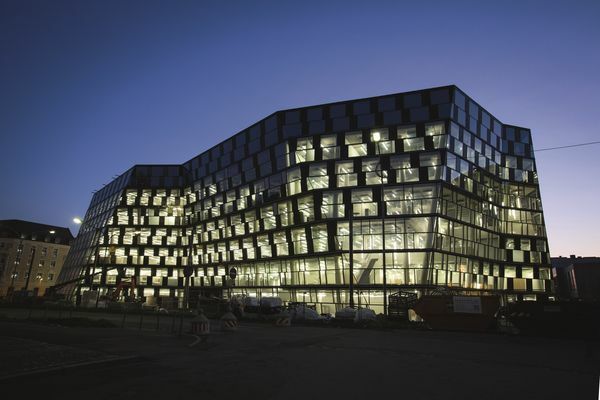 The glass outer shell consists of a double facade of box-type window modules with integrated installations for sun protection and night-time cooling. 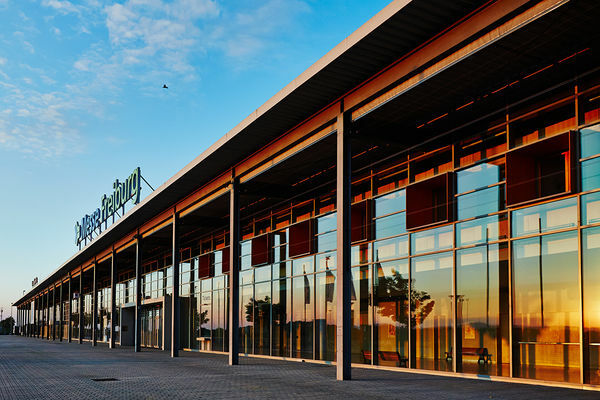 industries can all be found within walking distance along Rieselfeld‘s traffic-calmed streets. To be viewed from the outside, guided tours by appointment. 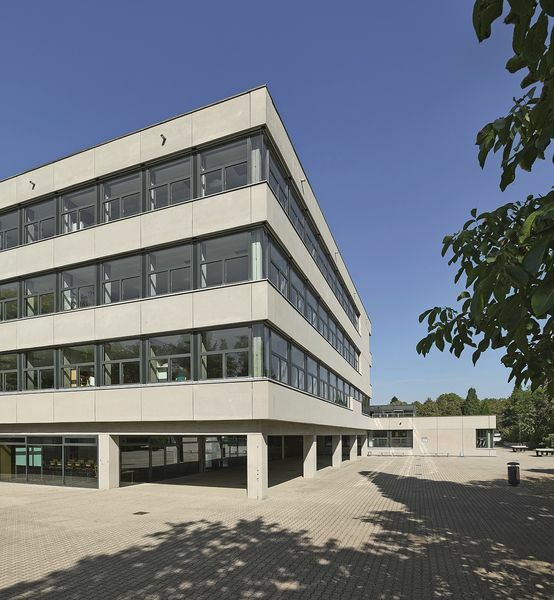 Squares dominate the floor plan and outline of the school building constructed by Behnisch & Partner in 1966. The building was converted into an all-day school during the renovation. The cafeteria has been located discreetly under the elevated cube. Accumulated layers of paint were stripped from the school's internal walls to once again reveal the contrast of exposed concrete and oak paneling. An unused version of the original plan was implemented to create the window apertures. Home to the outstanding Freiburg Ensembles for Old and New Music, Baroque Orchestra and Ensemble Recherche, the Ensemblehaus provides the musicians with an ideal environment for recordings and rehearsals. 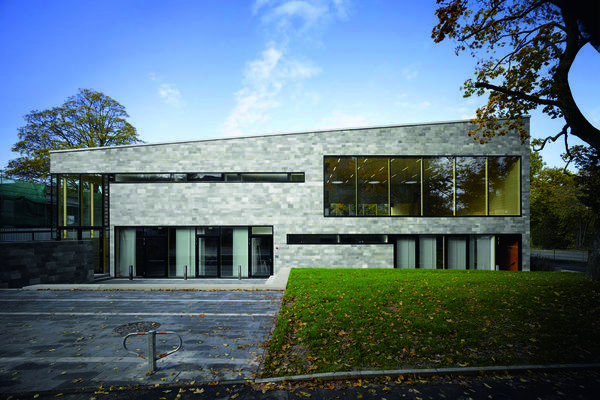 Its solemn and serious facade reflects the quality produced in its bright and welcoming interior. Between tradition and modernity: The multistory wooden structure with a hybrid shell made from steel, cement, and glass elements represents the ambivalence of the farming Profession. Here we have an example of how modern architecture can be combined with modern ecological and social demands. 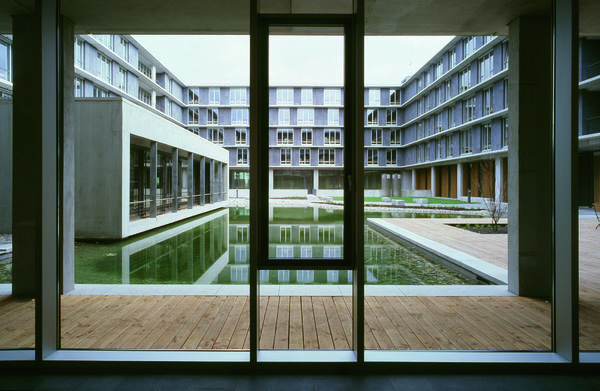 Built according to passive construction standards, the Green City Hotel Vauban represents both sustainability and innovation. For example, over half the staff have mental or physical disabilities. Award-winning housing project in a challenging city planning situation due to the immediate vicinity of the busy highway feeder road. 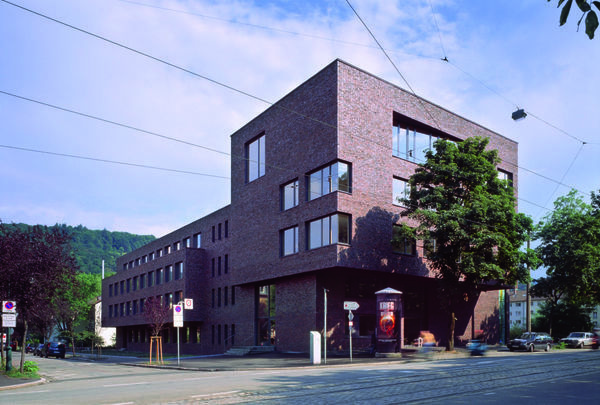 The former printing works of the Herder publishing house – a 19th century industrial building – was renovated and converted for the University of Freiburg. 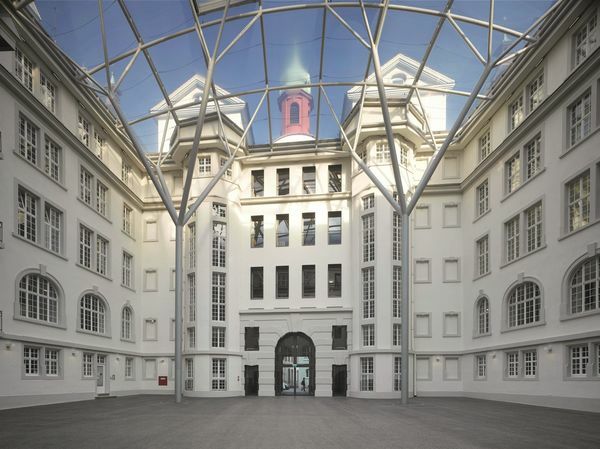 The northern courtyard is covered by a transparent cupola roof supported by four treelike branched steel supports. 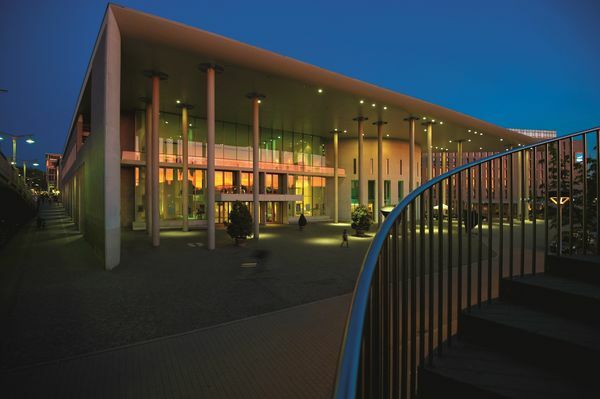 This has maintained the impression of the imposing building and created a fitting entrance area for the university facilities. 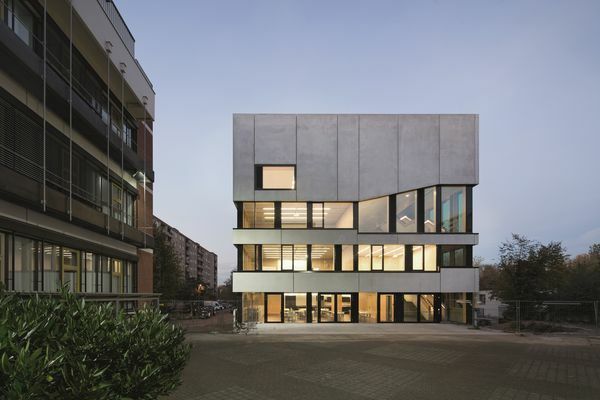 Numerous architectural qualities are apparent in the new residential district resulting from a competition by the Freiburger Stadtbau building authority. The top three prizewinners were given the chance to implement their visions of contemporary concentrated living subject to strict environmental and economic requirements. 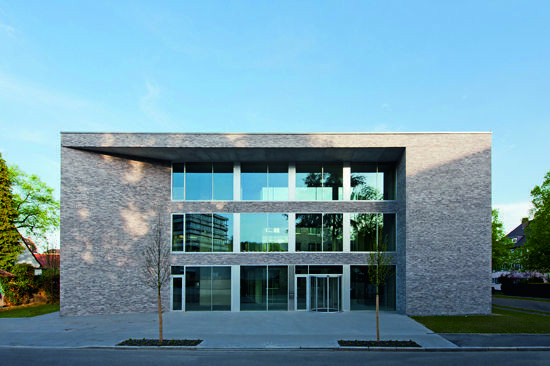 Archiepiscopal building authority (C. Hendrich, A. Bauhofer, N. Seemann, C. Schwer, J. Zeh), 2005. The training institute of the archdiocese is a striking architectural element of the city, with its homogeneous brick cladding. The different functions are easily identifiable from the outside. A chapel integrated in the building creates a simple and impressive effect. 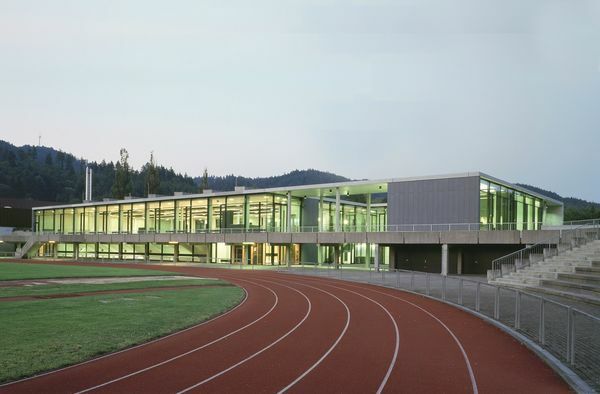 This building is a successful addition to the existing sports facilities. The topography has been utilized to create two separate entrances relating to their respective functions. The usage areas are grouped around a protected courtyard. Exposed concrete, graphite-black metal components, and oak come together in a harmonious fusion of materials. 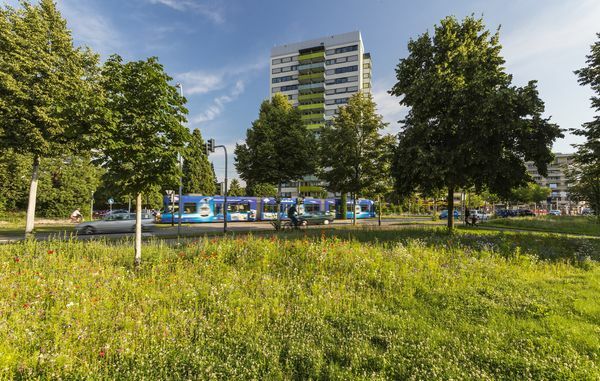 The high rise apartment block at Bugginger Strasse 50 was the world‘s first high rise with passive house construction certification and requires less than 15 kWh per year for its heating facilities. 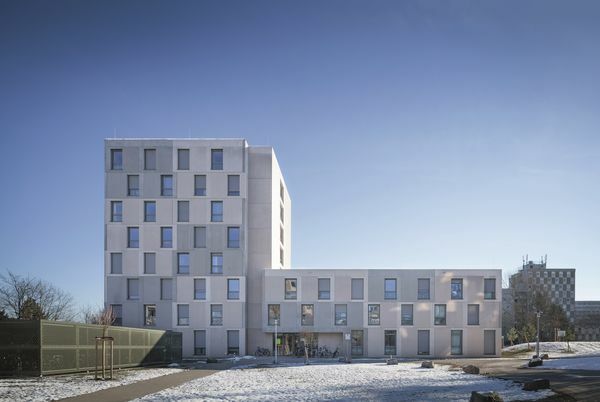 The renovation of the building produced a 78% saving in energy used for heating – despite the work allowing room for social aspects such as common rooms, guest apartments and even a concierge. 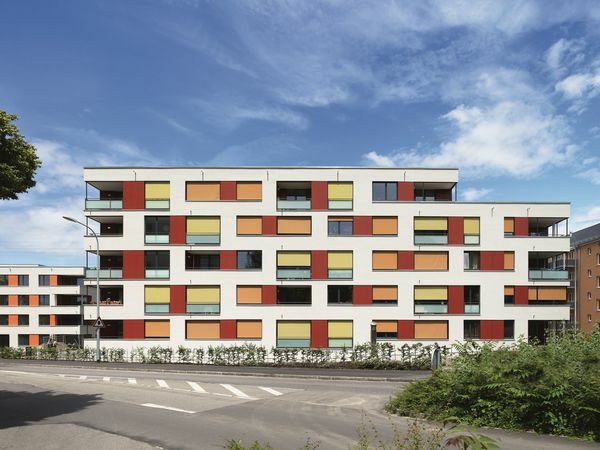 The layouts of the individual apartments were improved in order to reflect demographic changes. 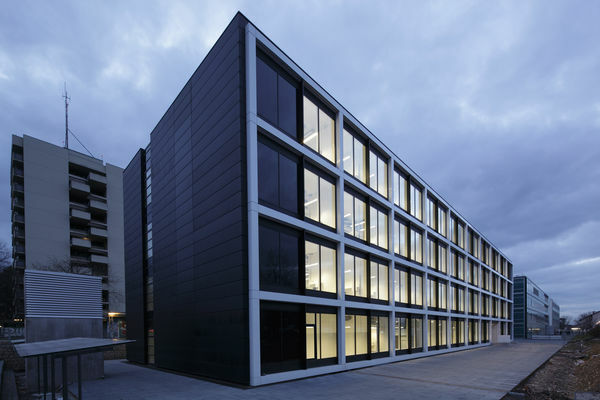 The laboratory building's purpose is reflected in the precise facade of the cubic building structure. The interior is divided into clear zones, with laboratories on the north side and offices towards the south. 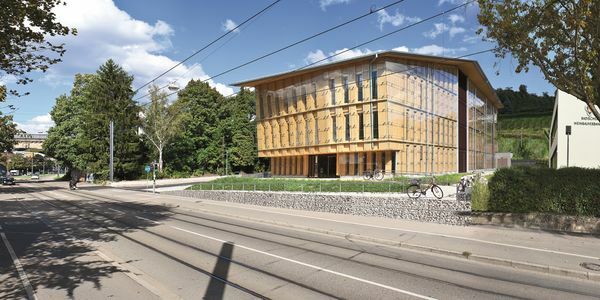 The building also stands out thanks to its groundbreaking ecological overall concept. 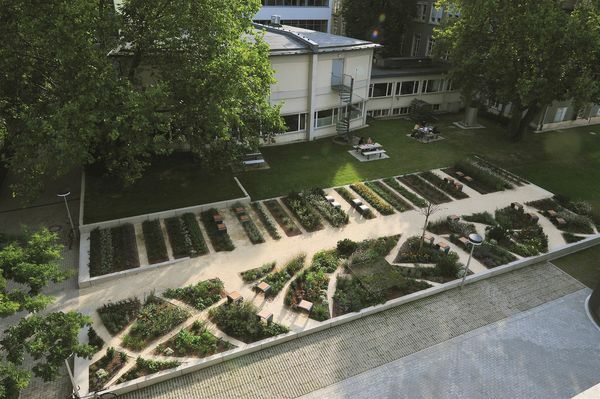 The landscaping and plants in the 'Garten der Physik' represent the physics research procedure, in which the chaotic world is explained using models and organizational structures. 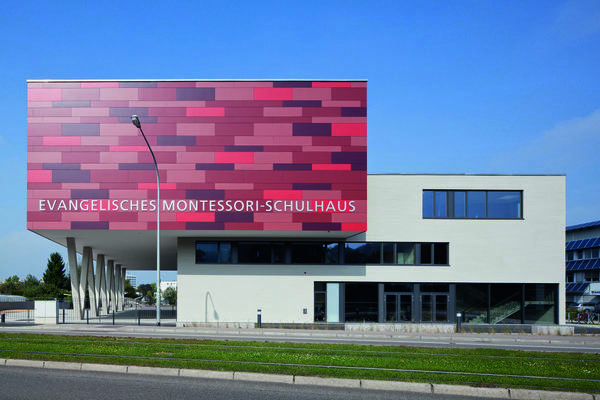 The Montessori school building is a striking sight on Merzhauser Strasse. Occupying a small plot, a cube in different shades of red extends towards the street over an open area supported by diagonally placed columns. This upper level is used as a gymnasium, with the classrooms and prayer and administration rooms located below. Rather than central teaching rooms, the school building uses an open and flexible learning environment in line with the Montessori concept. The annex increased the university's physical capacity by around a third. The building has a large lecture hall, a cafeteria with dining hall, seminar rooms and offices. It has been designed to create an open and transparent space to support communication. The large glass panels make optimal use of daylight, creating a welcoming atmosphere. The model district Vauban is now known throughout the country as an environmentally conscious and family-friendly district. New forms of civic involvement and collective building are further characteristics of the traffic-calmed residential area. 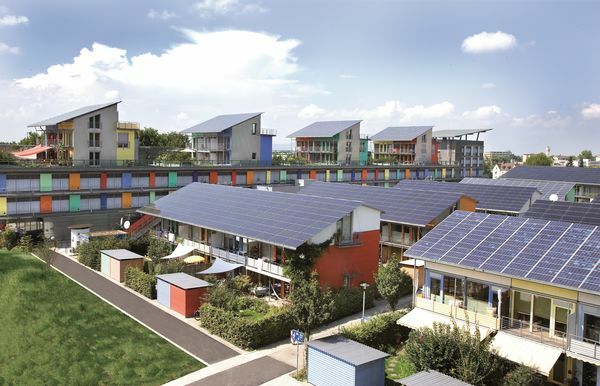 Individually designed housing forms show that sustainable living can be colorful and diverse. 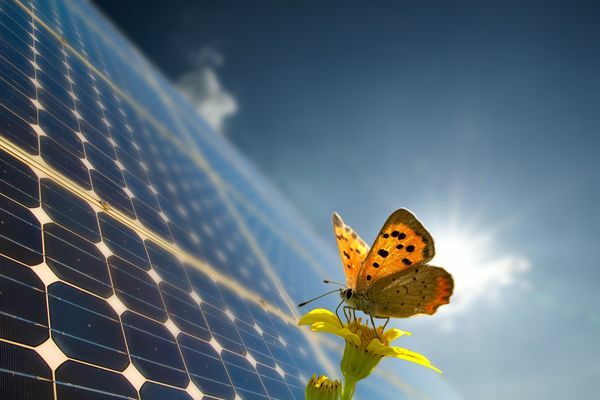 Passive construction, energy-plus construction and the use of solar technology are standard. A clearly structured administration building that creates a calming influence in a heterogeneous environment. Shielded on four sides, the courtyard and cafeteria offer a pleasant environment for employees and visitors. An archaic monolith serves as an architectural vessel for two faiths. 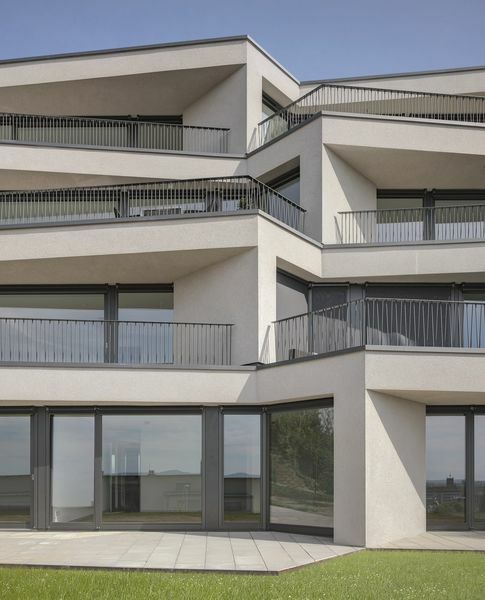 The sculptural effect of the building with a few precisely placed openings creates a stark contrast to the residential buildings and defines the center in Rieselfeld. 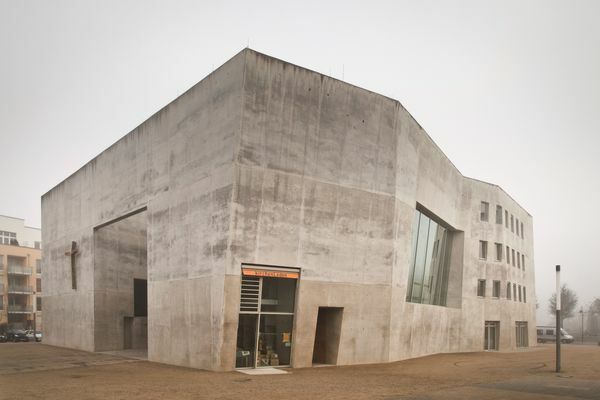 Full-length sliding concrete panels allow for ecumenical services. 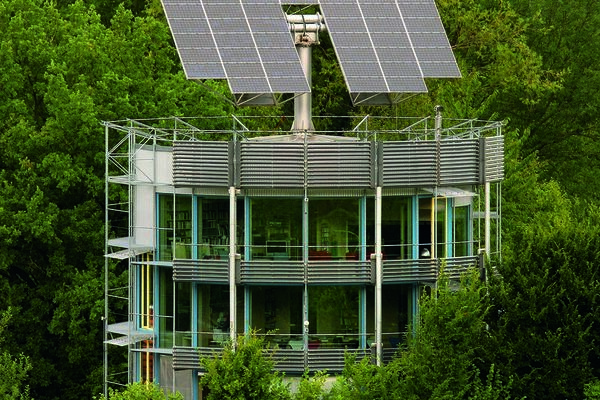 This innovative energy concept of the new residential area ‘Schlossberg Residence‘ is based on improved insulation techniques and the use of local renewable energy sources such as wood pellets and a hydrodynamic screw providing this residential area with an almost independent means of energy production for heating. 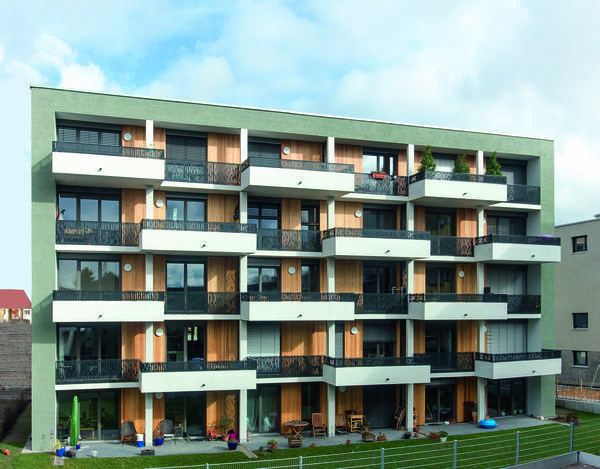 When compared to a standard newly constructed building there are primary energy savings of 90%. 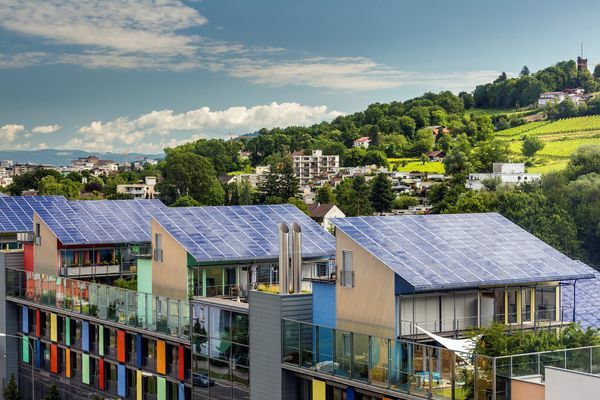 The positive-energy row houses are shielded from the busy Merzhauser Strasse by the "Sonnenschiff", a block of mainly commercial outlets. 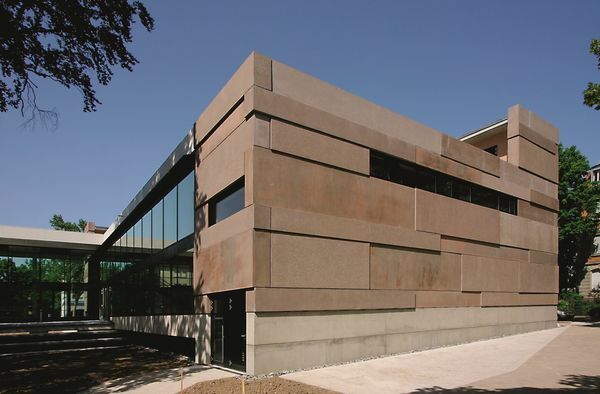 Large concrete elements with different depths and structures create a vivid relief on the facade. A glass foyer contrasts with the hall building and screens the tree-lined courtyard from Talstrasse. 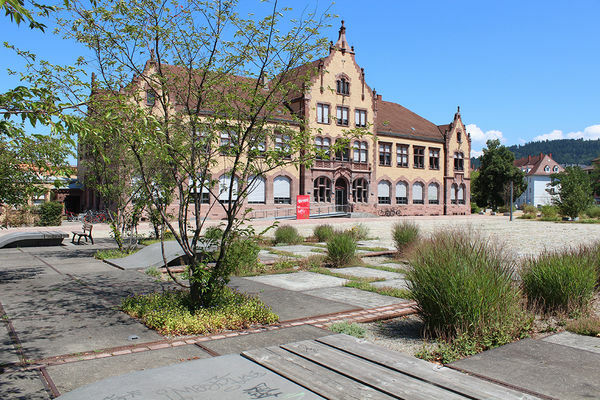 Germany's first United World College was built on the site of a former Carthusian monastery. The classrooms are located in the monastery building, whose main elements date from the 18th century. The new canteen was built in the listed monastery gardens. 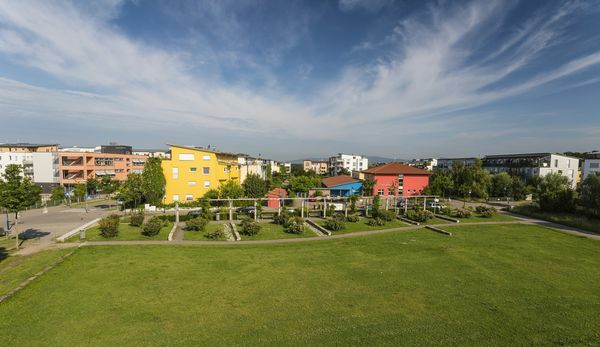 Accommodation for students and teaching staff is located on the hill, in the form of a relaxed village community with residential cubes of different sizes. A reference to the long-gone Carthusian heritage. The annex of the University Hospital including an emergency center ties into the existing Medical and Surgical Clinic. Two large atriums divide the elongated three-story building into three sections and a thoroughfare alongside the building allows easy movement between the different areas. A column grid on the reinforced steel frame allows great flexibility for any subsequent changes that may be required. The color scheme creates a welcoming atmosphere and serves as a signage system for better orientation. The library building constructed in the 1970s was renovated in terms of both energy and technology to reduce the operating costs. 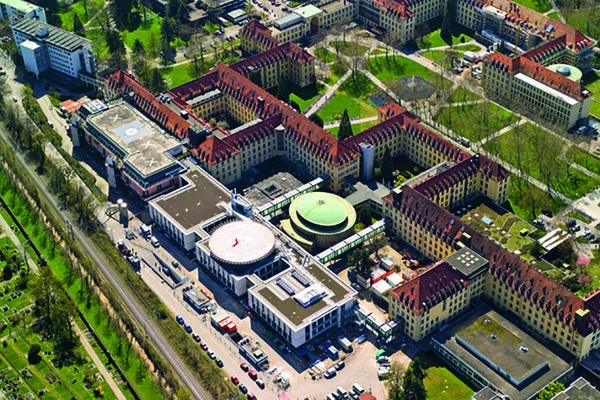 The library forms the cultural center of the city, together with the Municipal Theater and the university buildings I and II. The almost black, three-dimensional folded prismatic shape clearly stands out from the neighboring buildings and reflects them as fragments. 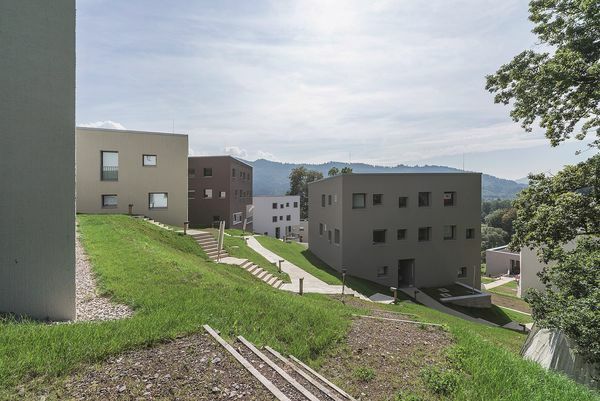 This apartment building is located on a hillside and resembles a split-level dwelling: however, the living units are oriented in up to three directions. A cascading effect is created on the main facade by stretching and moving the floor levels and by the sloping stepped floor plans – a dynamic ebb and flow. The large open-sided square marks the starting point for the new mixed working and residential district on the site of a former freight yard. Elements of the design conjure up images of the old railway tracks, alternating islands of greenery with stone surfaces.